Jubal John finally releases some of his gems that he has been mining for more than a decade gigging in and around Birmingham, Alabama. Mr. Right Now shows the wide ranging influences both British and American that make up the threads of his musical inspiration and record collection. Jubal can be seen as a lone Minstrel or with a sizable combo showing off his songwriting prowess at a Five Points Pizza House, at Marty’s or any size watering hole on any given night . The deep well of knowledge shows in a song cycle that is as much an Alabama interloper as a British Pub Rocker. Mr. Right Now sounds as analog as Phil Spector’s Lennon stamps or modern Americana production. Rather than running his voice through a double rack voice processor that can make you sound like Tom Jones on steroids, he double tracks quite a bit and leaves the voice sitting in the mix that creates production that is part alternate version – Travelling Wilburys and Buddy Miller getting some vibes in his living room with Wilco as a backing band. Did I say an Alternate Travelling Wilburys? Yes, much of Jubal John’s songwriting and voicing makes me feel like I am listening to a core group made up of Elvis Costello, John Lennon, Roy Wood and Johnny Cash. Okay, let’s break that down, a Beatle, a pub rocker, the guy who invented Electric Light Orchestra out of The Move only to leave and start Roy Wood’s Wizard and pull in some Fifties music as well as one of the Million Dollar Quartet. I’m not going to break it down song by song. Let’s just say when you see the shifts from “ Cupid’s Pink Slip” to “Be Careful” to “Women and Cars” and “Churches” you are going to wish that Jubal was the core songwriter of your band. Wait, I forgot “Savannah” – The one I would push on Top 30 radio. Oh wait! There is no top 30 radio. It doesn’t matter, get the vinyl and blast it through your Polk Audio columns and it will make you happy. Wait till you hear the strings come in on “Never Had A Love.” If that doesn’t give you goosebumps then you might want to check your pulse. Considering that Birmingham has the most diverse excellent talent pool in the South, this album is a stand out. Birmingham, Alabama’s \\GT// is part of a Birmingham well rounded scene tradition that has produced everything from rockers Carnival Season, Brother Cane to a burgeoning Indie scene that began almost ten years ago that included everything from Hard Rocking Universal Joint and beitthemeans to more singer/songwriter oriented material from Jesse Payne and Kendra Sutton. In fact, the scene has been diversified enough to include various hip hop acts and Punk Reggae Scenesters with a sophisticated College political mindset, The Agency. Out of all these factions have come nationally known College Radio Americana in the form of Wild Sweet Orange and The Great Book of John. The other angle that has taken off is related to a re-look at Muscle Shoals and the Fame Studio years with St. Paul & The Broken Bones and the unpeggable Alabama Shakes. Birmingham has managed to develop one of the best regional Indie Music Festivals in the Country with Secret Stages while local label Communicating Vessels is growing and nationwide. \\GT// developed out of this eclectic scene when two co-workers, Scotty Lee, Byron Sonnier at now defunct venue The Bottletree got together to jam on a modern twist of Alabama gothic tale hard edge grooves. Working with established area drummer Mark Beasley, the Power Trio brings out the loud Birmingham underground belly of the Magic City. Their newest release, Beats Misplaced, currently only available in Europe on Rough Trade will be released later this year on Communicating Vessels. In the meantime, \\GT// plan to hit every club they can along the eastern half of the United States as well as the Midwest. The Nashville Bridge caught up with the band a few days prior to their show in Nashville at The Stone Fox on August 15th. Brad Hardisty / The Nashville Bridge: Scotty, you have some great label support [Communicating Vessels] and some gigs coming up. 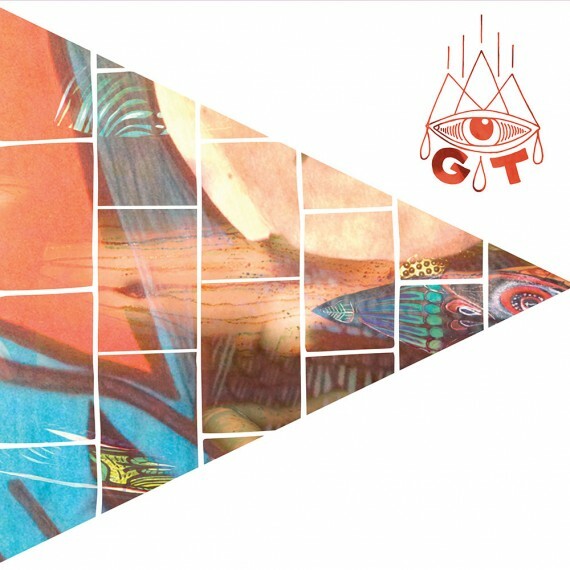 Scotty Lee – \\GT//: Yeah we do. Let’s see, we have another small run coming up from the 15th to the 23rd so far. We are doing, obviously, The Stone Fox. We have been going through St. Louis and Lexington and starting to do that Midwest kind of thing. TNB: How was Secret Stages [Birmingham Indie Music Festival] this year? Scotty: Secret Stages was great! We got in the second day. We were on the road but it was really awesome and everybody that came to the festival was saying great things about it all weekend. So, yeah it was really good. TNB: I could tell you one thing. I think what you’re doing would work in Nashville now. I wouldn’t have said the same thing seven years ago. Things have really changed. TNB: Are you guys in tune with what is going on in Music City? Scotty: They might be more than me. The only thing that I know is like my buddies The Banditos is the only Nashville connection that I have. TNB: Nashville is becoming more diversified with Jack White, The Black Keys and locals that grew up here like Jeff The Brotherhood. Scotty: Oh yeah. Jeff The Brotherhood. I forgot about them. I forgot they are from Nashville. TNB: Did you record the new full length album in Birmingham? Scotty: The full length we’ve got now we recorded over here at CommVess [Communicating Vessels] in their studio. We worked with Lynn Bridges and Taylor Hollingsworth [Conor Oberst, The Spider Eaters, The Puffs, Dead Fingers, Pawn & Gun] and we had a lot of friends play on it and stuff as far as background vocals and all that kind of stuff. TNB: So, Taylor played on it a little bit? Scotty: Yeah, he played a couple of lead parts, did some background vocals and he produced a little bit of it as well. TNB: What’s the scene like in Birmingham nowadays? Is it still centered around The Nick? I know that The Bottletree shut down, right? Scotty: Yeah, The Bottletree is gone. Saturn opened up and Birmingham is always going to be like it has been. All the fans that are out now are really awesome. I have a lot of friends that are still doing their thing which is great. TNB: Are you bringing any bands with you to The Stone Fox or are you guys playing with some local bands? Scotty: Yeah, we’re just playing with people that are from there, I guess. We are not bringing anybody with us on these runs. TNB: What is the current goal for \\GT//? Scotty: I just want to tour and give people a chance to hear us. That’s all I want to do. TNB: A while back there was a demand for stuff over in Europe from Alabama [Drive-By Truckers]. I know that Taylor Hollingsworth has been over to England. Do you see any interest overseas? Scotty: Well, our album was released over in Germany and the UK with Rough Trade so we will find out. TNB: When will the album be out on Communicating Vessels stateside? Scotty: It’s being released here in about September or October. Not really sure. There is no certain date right now. Byron Sonnier – \\GT// : Hello. TNB: How did you end up working with Scotty? Were you with him in a different band or is this kind of a new thing for you? Byron: We were actually in a different band that was kind of a psychedelic stoner rock band. I played guitar and sang. Scotty played lead guitar. It didn’t last very long but, yeah, so we played together before. Byron: We both worked at Bottletree at the same time. Scotty was getting this band together and asked me if I wanted to play. I had never played bass before but I was like I’ll try and it just kind of went from there. TNB: How long did you guys work for Bottletree? Byron: Scotty had worked there on and off since the beginning, I worked there for a little over five years. TNB: I moved out of Birmingham in 2008 and moved to Nashville. I used to play a lot at The Nick. 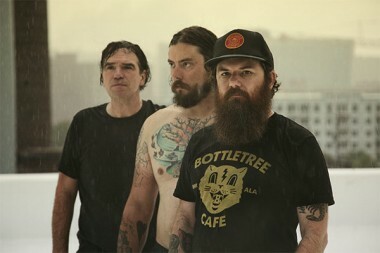 I didn’t play The Bottletree but I saw some great shows [Dead Confederate, Taylor Hollingsworth, The Donnas] back then. Byron: It was awesome! I mean The Bottletree is responsible for everything that’s happened here, I think definitely in regards to the music scene. I mean it [music scene] was there before but I think that national attention came out of that one way or another. TNB: I was going to say that Communicating Vessels kind of came together before The Bottletree shut down, right? Byron: Oh, yeah, well before that, for sure. TNB: Some of the early label bands like The Great Book of John, I guess, were established playing out of The Bottletree? Byron: Right! Alabama Shakes played open mic night only they were just called The Shakes then. St. Paul [& The Broken Bones], I mean all those bands played through here several times. TNB: Is there something like The Bottletree now? One thing I remember is that they had had some great stuff like hummus and vegetarian food. Byron: Now? No, I mean there is the new Saturn. It’s booked by BOWERY. It’s definitely got its own kind of thing going. It’s different. It’s more of a concert venue then a club. So, there really is not anything close to that right now. It’s definitely a void. TNB: I thought it was a cool thing because like you could go there and eat healthy if you didn’t feel like drinking or anything you know. Mark Beasley – \\GT//: Hey Brad it’s Mark. TNB: Hey Mark how are you doin’? I remember seeing you play with a lot of people before I moved from Birmingham in 2008. You were playing with Kendra last thing I remember. I used to play in a band myself. Mark: Which band were you in? TNB: Daniel has been playing with a lot of people. Our lead singer name was Peter Davenport. We were called various names over a few years and the last year we went by Furthermore. I used to see you to play with a lot of people. I remember running into you a lot of times. Mark: Yeah, I’ve played drums in quite a few bands here and there. Some of them short lived and some of them longer. TNB: Are you gigging full time or are you working as well? Mark: I think all of us have jobs. There was a time I was playing in three or four bands at the same time but now those bands have kind of folded up and become inactive and now it’s just been playing with \\GT// and going on tour which is taking up most of my time at least in terms of my time playing music. TNB: I was going to say it’s probably a good band to be in because you’ve got solid label support. They are doing stuff for you and you’ve got some decent videos out as well as a great Alabama regional vibe t your groove. Mark: I think some of the success from the Alabama bands, at least, is kind of what you would expect Alabama to sound like. There are other bands like us and Dirty Lungs on this label that don’t necessarily, you know, we really are just a rock band with some weird perverted blues licks thrown in there. It’s not typical of what you would think of it being Southern music. TNB: I think it fits with fans of Alabama music that know about the past ten years and bands such as The Immortal Lee County Killers, Cordova, Model Citizen or Beitthemeans, . Mark: We played a show with those guys [Beitthemeans] in Mobile [Alabama]. TNB: It’s kind of cool to see that at first Communicating Vessels was more concentrating on almost like new Americana and now they are branching out and tapping into some other scenes. Is that how you feel? Mark: I think that is just a good business model if you talk about a record label. I know Epitaph had its success having a bunch of the same kind of bands on their label but really to be successful you have to have artists of all different types to diversify your sound. So, Communicating Vessels certainly has a couple of hip hop acts. They have what you would traditionally think of as Americana acts as well as straight ahead Rock and Roll bands too. TNB: Good luck with the new project! I’ll let you guys go.